There are no pups available at this time. 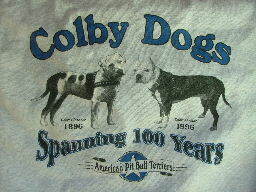 When we breed our Colby dogs, the litters are pre-sold. Deposits obtain your number in line and guarantee a pup. If any picks aren't sold and make it to the website, they are sold within 72 hours of advertisement !